It's the most dynamic family vacation destination on earth. At Universal Orlando Resort you'll find not one, but two amazing theme parks, non-stop nightlife, and a trio of world-class on-site hotels. Whether you're looking for the hottest entertainment, state-of-the-art rides, unforgettable dining, or just the opportunity to relax and get away from it all, there's nothing else like it in Orlando. It's an entire universe of action, thrills, fun and entertainment excitement the whole family can enjoy together! Universal Orlando Resort... A Better Vacation for Today's Family. 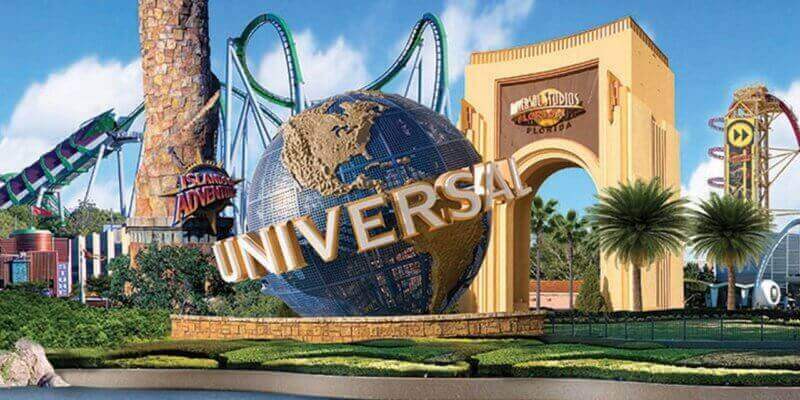 Universal Orlando® Resort is more than a theme park. It's an entire universe of action and thrills featuring TWO spectacular theme parks unlike anything else in Orlando. At both Universal Studios and Universal's Islands of Adventure every member of the family can share unforgettable experiences together. You can have the ultimate adventure, enjoy fun with your kids, rejuvenate yourself, have a romantic dinner, challenge yourself on incredible theme park rides, and relax by the pool in a beautiful Florida setting.